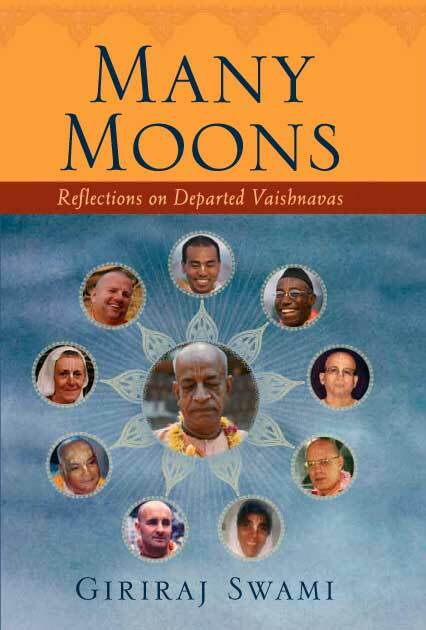 The dummy and proofs for reprinting my latest book, Many Moons: Reflections on Departed Vaisnavas, have arrived from India. They are quite good — with some room for improvement. 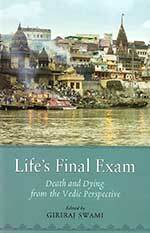 We hope to have the book ready in time for this year’s festivals in Mayapur and Vrindavan. And from India, copies will be shipped to Mauritius, South Africa, and other places in Africa, Asia, and Australia. 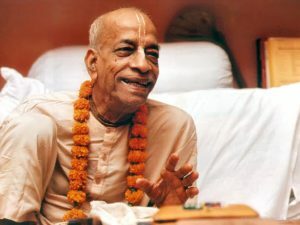 The book, originally printed in the US, has so far been available only in America and Europe, though copies can be ordered from Krishna Culture (http://www.krishnaculture.com/Merchant5/merchant.mvc?Screen=CTGY&Store_Code=KC&Category_Code=B-A-GS), Bhaktivedanta Library Services (http://blservices.com/catalogsearch/result/?q=Many+Moons), and Krishna.com (http://store.krishna.com/Detail.bok?no=9313&bar=_shp_media-books). Producing a book is like giving birth to a child: so much anxiety, but when it is finally delivered, so much joy. 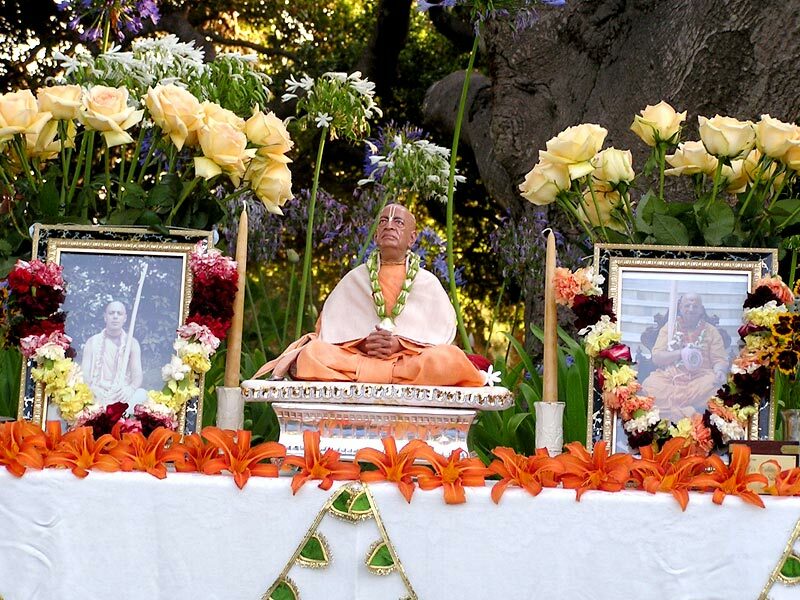 On Saturday, July 14, about forty devotees gathered at Giriraj Swami’s ashram in Carpinteria to glorify two stalwart servants of Srila Prabhupada: His Holiness Sridhar Swami and His Holiness Tamal Krishna Goswami. 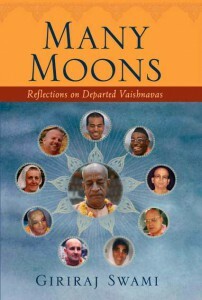 Giriraj Swami introduced the program with an explanation, based on authority, of the value of remembering Vaisnavas. Then Mayapur das, Sridhar Swami’s personal assistant for many years, spoke about the importance of surrendering to the order of guru–however difficult it may be–and the benefit of such selfless service, with examples from his experiences with Sridhar Swami. 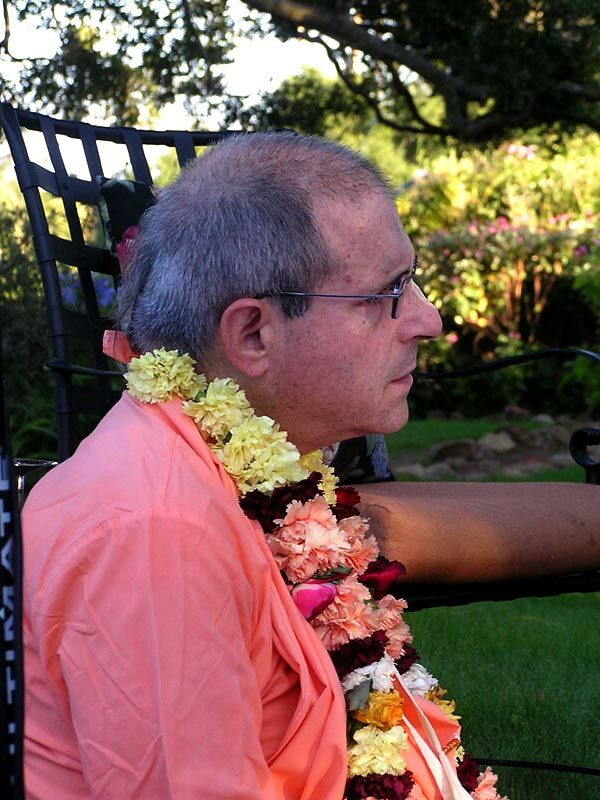 Then two wonderful disciples of Tamal Krishna Goswami from Dallas, Dharma das and Padma dasi, talked about the two great souls, who were also dear friends. 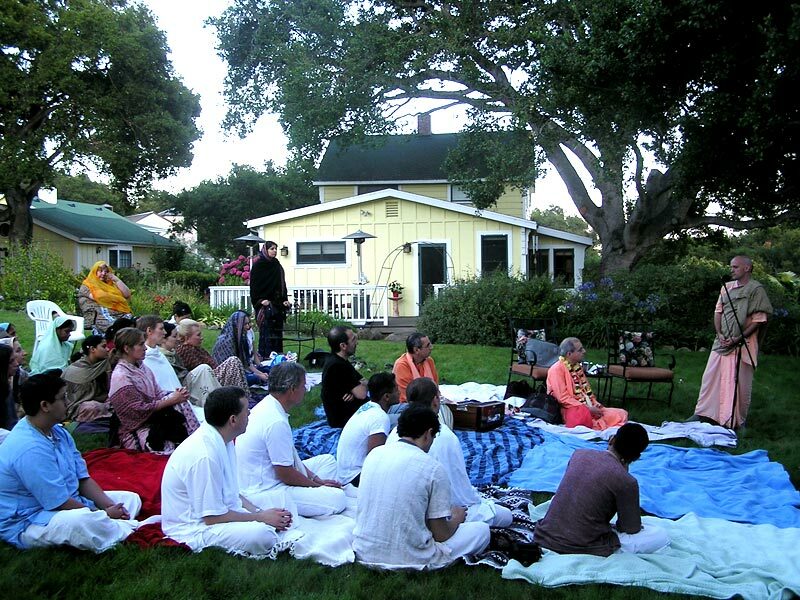 Kuntidevi discussed her experiences with Sridhar Swami and Tamal Krishna Goswami in India and Santa Barbara, and Sarvatma shared some thoughts and led the devotees in Sri Harer-namastaka, a special song that he sang for Sridhar Swami in Mayapur. Then Niranjana Swami spoke, quoting from his talk on Sridhar Swami’s disappearance day and his offering for Tamal Krishna Goswami’s Vyasa-puja, inspiring everyone with feelings of separation and love. And finally Giriraj Swami spoke, reflecting on points from the other talks. (We hope to make transcripts available in due course.) 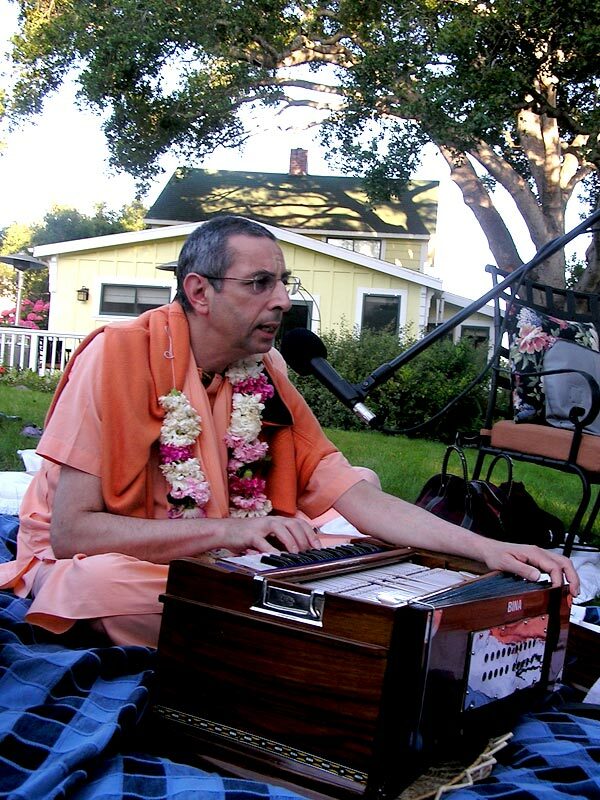 The program concluded with kirtan, led by Niranjana Swami, and prasad, offered for the pleasure of these two most powerful preachers and staunch servants of Srila Prabhupada.